Aside from sound insulation, double glazing window also helps in energy saving. It helps to minimize the heat transfer through the window. So if you install the double glazing window at air-conditional room, it will help to increase the energy saving and lower your electricity bill. 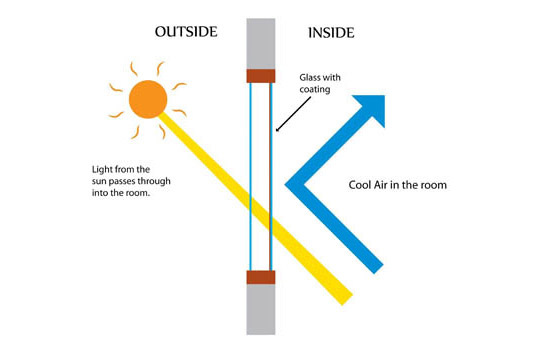 The diagram below explain how double glazing window helps in sound and heat insulation.